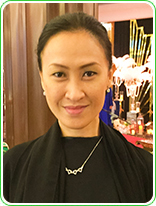 Pauline Lau (Principal of Wellness Art) qualified with an honours degree in Physiotherapy from Curtin University, Australia (more than 20 years ago). She specialises in senior citizens' health as well as sports injury and holds an extensive Physiotherapy Clinical experience working in Australia, Singapore and Malaysia. 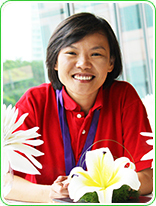 She further developed and found her passion in massage and travelled to Singapore, Thailand and Indonesia to develop her treatment skills and gain more knowledge in certified massages. Massage therapy is the least invasive therapy with substantial healing benefits. Realising that everyone has some form of body misalignment (including herself whose left leg is longer than her right leg causing her back and leg pain), she uses massage to manage her musculoskeletal problems. During teaching and training, Pauline is very careful with proper techniques by centralizing the massage therapist body, using body weight and not strength to perform the massage and protecting the therapist's body and energy while giving the massage. Equipped with the passion for people and healing, Pauline combines her physiotherapy background, medical knowledge and caring personality to become the best massage trainer. Jo Low is no stranger to success, both as a Massage Therapist and as a Massage Trainer (since 2005). 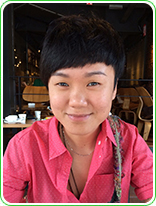 Having always been fascinated with healthy living and enhancing one’s health through natural means since very young age, Jo decided to leave her lucrative career in Melbourne to pursue her passion in massage with further studies in Melbourne, Malaysia, and Thailand. Upon graduation, Jo spent a year practicing in Melbourne to sharpen her skills before accepting an invitation from Malaysia’s first leading massage training provider, to return to Malaysia as an independent trainer. Jo successfully imparted her knowledge to students from all walks of life, from housewives to medical professionals. Her passion really shines through as evidenced by the many glowing testimonials she’s received from grateful students. Having lived and worked in Perth, Melbourne and Kuala Lumpur, Jo has an understanding of the challenges and opportunities faced by her students, allowing her to not only to pass on her skills in massage therapy but she also mentored many of them to start their own practices in Massage Therapy. Frank Foo started his career in the health and fitness industry almost 17 years ago, from teaching group fitness to personal training to club management. His highest achievement in his field was when he was certified as a master trainer by Federation of International Sports, Aerobic & Fitness (FISAF) in 2013. However, as a person who keeps moving forward and pursuing his dreams in life, he took a long break to pursue his studies in Physiotherapy and graduated 5 years ago. He has been in the private practice in the field since then. Frank is currently working as an independent Physiotherapist with his network of associates alike. Working on geriatric rehabilitation programs for a number of assisted living homes, conducting injury prevention classes for numerous fitness centers and golf clubs. 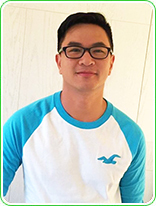 Nevertheless, his interest and passion in sharing his knowledge and skills with others has made him the perfect candidate for the role of a trainer for Sports Massage therapy in Wellness Art, a national leading massage therapy training academy. Frank is now taking his career to another level, his goal as a trainer is to ensure the right skills, knowledge and ability are imparted to his students so that eventually they will become the highly sought-after sports massage therapists. Jesamine Andreana Soo has been a housewife since 2006. During that time, has been interested in healthy living and massage therapy. She has been learning on her own through the Internet and from books written by well-known massage therapists. In year 2011, she decided to join Wellness Art School to get certified as a massage therapist. After getting her certification, she was impressed with the professionalism of the class so much she decided to continue her education with Foot Reflexology and Sports Injury Massage. With that, the principal at Wellness Art School, saw her potential and passion for people and in massage therapy, decided to encourage her to become a trainer. Jesamine is currently delving into aromatherapy and healing with essential oils. The passion for essential oils and natural healing has led her to pursue a course in Aromatherapy massage. How the combination of essential oils and massage can have great therapeutic effect on the body and mind. She truly enjoys facilitating her student's personal goals towards wellness, empowerment and improvement. Since then, she has totally blossom as an independent, strong, caring and well-liked trainer. To provide the highest level of massage coupled by bodywork education for our students as well as professional therapists in order to empower people into changing their lives and the lives of others. To make the world a better place through teaching the art and science of touch. We are dedicated and committed to running the school in a manner as healing massage is the subjects we teach. While therapy itself is fulfilling and fascinating, it is as equally important as earning a good living doing something that you love. We support our students by enrolling them into our corporate training programmes which is part of our core curriculum. We also offer consultations to our graduates who wish to pursue this line of work as their career.